Highlights from Sky Bet League 1 as Swindon faced Fleetwood. Striker Nicky Ajose bagged his 23rd goal of the season as Swindon came from behind to share a 1-1 draw at home to Fleetwood. The visitors flew out of the traps and deservedly took the lead with just six minutes on the board, on-loan Bristol City striker Wes Burns heading home from James Ryan's corner. 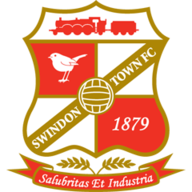 Swindon looked shaky in the wake of that early setback and nearly conceded a second goal moments later, but the impressive Burns was unable to find a way past Tyrell Belford in the home goal. Fleetwood were in cruise control but were unable to add to their lead after the break as a dull game all of a sudden burst into life, second-half substitute Ashley Hunter slamming wide after the woodwork was rattled on no less than four occasions in a matter of seconds. And the guests were left to rue those missed chances as Swindon hauled themselves level in the 68th minute courtesy of Ajose, who turned home from Brandon Ormonde-Ottewill's ball across goal. 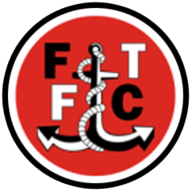 Louis Thompson thumped a venomous drive against the crossbar and Fleetwood had a shot cleared off the line as the game became stretched in the closing stages, but both sides were forced to settle for a point each.